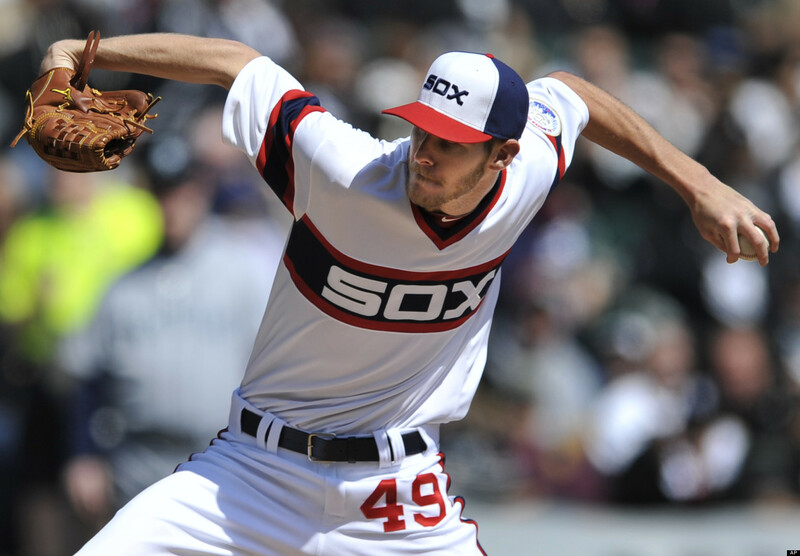 On the WARRpath: Should the White Sox trade Chris Sale? Ed. note — The first in our weekly feature, On the WARRpath takes on the issues that cross our collective paths here at weareregalradio.com and allows all of our well-established sports voices to sound off on the things that are buzzing in the sports world. Another Major League Baseball trading deadline is fast approaching us, so this week, the subject is the Chicago White Sox’s ace and what should the floundering Pale Hose do with him currently. There would be no lack of suitors for the 24-year old, already multiple-time all-star if the Sox put him out there in earnest, which doesn’t look to be the case as of now. Instead, the Sox have Jake Peavy looking at the front clubhouse door and just today sent reliable, but currently injured, reliever Jesse Crain to the Tampa Bay Rays. It’s clear that the Sox won’t be contending again for at least another couple of years, for some it doesn’t make sense to hold on to Sale for a chance at winning one out of five games when the other four look so consistently unwinnable. Even Sale’s starts have trended down regardless of his performance — he took a 1-0 loss on the chin Saturday, rounding out a 10 game stretch where the Sox scored a total of 16 runs, ruining his effort in holding opponents to a 2.84 ERA. Sale’s record in those games: 1-8. Could we be seeing a waste of the prime-approaching years of Sale if he remains on the South Side? Are the Sox doing themselves a disservice by not trying to flip their best talent for farm system-sustaining prospects at the least, something the Cubs — already with a better set of minor league prospects — have seem to have done with their moves this July? Or, would dealing Sale be the final blow to any chances of a South Side turnaround in the near future? Mazique: The White Sox should continue to make the vast majority of their roster available — with the exception of Chris Sale. I know things look bleak for the South Siders, and maintaining the services of an ace amongst garbage seems ridiculous, but at 24 years old with a manageable contract (five years, $32.5 million) and a 23-17 record with an ERA of 2.93 over the last two seasons for a mediocre club, Sale is the only player the White Sox should retain at all costs. Left-handed starters with proven success and live arms don’t grow on trees. No matter where the White Sox find themselves in their overall development process over the next three years, Sale should be a part of their rotation. Joe Tanksley, co-host, The Varsity Show: Chris Sale should definitely be available if the right offer comes across the table. Too many times the White Sox have held onto players that should have been traded when their value was at their highest point (i.e. Gavin Floyd). With the trade of Sale, the Sox would have an opportunity to improve a lowly-rated farm-system (Ed. note — 28 of 30 in Baseball Prospectus in March ’13) with a bunch highly rated prospects. If the Cubs can get five potentially legit prospects for Garza, the Sox should be able to do the same, if not better, with Sale. With the roster the Sox currently have they will never get pass the Detroit Tigers, they have to find some way to get younger with some quality talent. Sale gives them the best chance to do that. Sean Terry, co-host, The Varsity Show: UNTOUCHABLE!!! The perfect storm of a very friendly club contract for a young, left-hander with STANK just doesn’t come along that frequently. Moreover, I believe Sale should be deemed the only untouchable on this Sox club as currently constructed. Building blocks have to start somewhere and the White Sox owe it to themselves and the fans to at least provide some type of draw. For a team that has major attendance issues due to an unwilling fan base, having a bonafide ace and all-star starting pitcher is a guarantee to pack em’ in at least 17-20 times a year. With the immediate future of the franchise looking uncertain at best, I liken the Sox and Sale dilemma to that of Seattle’s with King Felix Rodriguez — where the team has absolutely no chance at being competitive for the next several years, however, the draw of an ace hurler every five days is more than enough validation to make Sale untouchable. Demonze Spruiel-Rose, co-host, The D and Davis Show: DON’T SELL CHRIS SALE!!! Listen, baseball know-it-all’s. Chris Sale is only 24 years old and a damn good lefty. Yeah, his arm motion might scare you, but you know who I want to keep scared — batters facing Chris Sale in a White Sox uniform. I can’t believe there is even talk of moving a very good pitcher who has a team-friendly contract, that’s the best of both worlds for Old Man Reinsdorf– good and cheap! Sale is a player who you build around. Ok, say the White Sox stink for the next 2-3 years and the team turns around, Sale will only be 27 at that time. I bet someone at that point will still say, “OH MERCY. HE IS A OLD WASHED UP PIECE OF DOG POO! TRADE HIM! !” Smack yourself, meatball. Keep Calm And Sale On! Ken Davis, co-host, The D and Davis Show: Lets be serious, unless Rick Hahn is a simpleton, the Sox should receive a virtual treasure trove for a leftie who is one of the most dominant pitchers in the men’s league (the American League). Sale has a team-friendly contract, with two team options at the end and a low number overall for a front end starter, so in fact he has even more value, any team that can trade for him has him at a great number for a long period of time. When evaluating Sale, we still have to look at his throwing motions and the torque on that left elbow. Yes, he may never have a serious injury, but wouldn’t you rather be on the safe side standing with three to four top line prospects rather than a leftie who potentially could be in and out of the lineup as he ages? Look at John Danks. Imagine the prospects the Sox would have received for him prior to this year. If the club is rebuilding it is easy to say “well, in two to three years we will need Sale,” but unless the Sox hit on a ton of prospects what is the chance of them contending in the next few years? The Sox can develop pitching, in the last decade they have been one of the best teams in the MLB when it comes to growing a pitching staff, but everyday players are a serious issue. The Sox should have a nice player next year due to their draft position, but they need many more prospects to turn this mess around. Sale is your biggest chip. I’d like for him to remain, but to win you may have to deal him. ← Size Em Up: Who’s Owning It Among Chicago Owners?